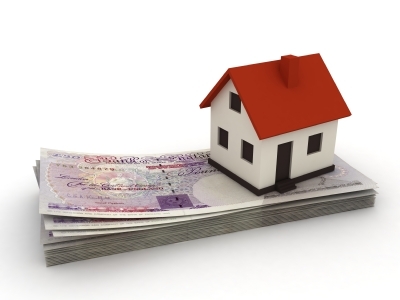 Using an expert broker to find a home insurance deal, instead of going direct or using a comparison website, can not only leave you with more cash in the bank at the end of the process. It also means you’re more likely to have the right sort of cover in place, with potentially less chance of any claims you make being rejected. It’s something of a myth that it costs more to use a broker than either going direct to an insurer or using an online comparison site. Both comparison sites and brokers get paid commission by the insurance provider but you don’t have to pay a penny. This commission is ‘built in’ to the cost. In other words, if you go direct to an insurer, they will simply not have to pay out this commission to a broker and end up keeping it themselves. It’s the same with a website which purely offers comparison tools. So if you value the impartial advice and, potentially, whole-of-market price comparison quotes a good insurance broker can offer (see below), as well as the exclusive deals they get from time-to-time, then it can certainly be wise to use a broker’s services. Just remember, it doesn’t cost you a penny. Insurance companies know that customers who come via brokers are often of a higher quality and more valuable to the insurer than those who come direct or only transact online. That’s because brokers can potentially save insurers time and money by filtering out those customers hunting around for quotes and taking up staff time but not necessarily transacting, and also those who might have a chequered claims history. For this reason they provide certain of the most trusted brokers with exclusive deals that you can’t get by going direct or find online. Brokers may also forgo a part of their commission to get an exclusive deal from an insurer. Both the broker and customer benefit; the broker might attract more business, potentially gaining loyal clients for the future, and the customer gets a deal they might not find elsewhere. As touched on above, one of the main reasons to use a broker’s services are that they can filter out the worst providers and offer a range of deals which many generic, online comparison sites won’t be able to match. A broker’s technical systems are often more sophisticated when it comes to taking into account your circumstances and requirements, giving a better spread of comparable, and more accurate, quotes. You’re less likely to find your time is wasted by getting a quote from a comparison sites which then changes once you’ve gone into more detail (which you’ll find you’re often asked to do after an initial simple quote stage). And, of course, you avoid what can be a fairly time-consuming process of collecting the right type of quotes and following them up; the broker will compare like-for-like deals for, and include all the cover elements you think you need. When compared with using a website which purely offers generic ‘deals’, a broker can tailor a home insurance policy far more specifically to your needs. Web deals by necessity are generally designed for the broadest possible range of circumstances and are less inclined to take into account your individual circumstances, with all the knock on effects this can have on the cost and comprehensive nature of the cover, and even whether it’s right for you at all. If you have children, for example, it could be extremely important for you to have accidental damage cover included in a policy. However, many, if not most, standard policies don’t include accidental damage cover and you could assume it’s there when it’s not. Even if the policy does offer accidental damage, it might not be comprehensive enough for your needs. A good broker would present you with only those policies that are right for your needs. The examples of where a broker’s knowledge can be important in getting you the cover you need apply to many areas; from accidental damage and away from home cover, to claim limits, exclusions and the type of property you own. The broker can work directly with insurers to tailor policies to your requirements, and insurers will tweak and change policies to take your individual circumstances into account.